Creating commercial fabric from concept to market goes though many steps and usually takes about one year to complete. Today, Anna Fishkin who works with Red Rooster Fabrics in New York City, and coordinates my fabric line, got the first strike-offs from Japan. My designs are hard to replicate in commercial fabric because of the nuance of color blending and shifting. However, these turned out great. Usually we may have to go back and forth two or three times before we sign off on the strike-offs and go into production. 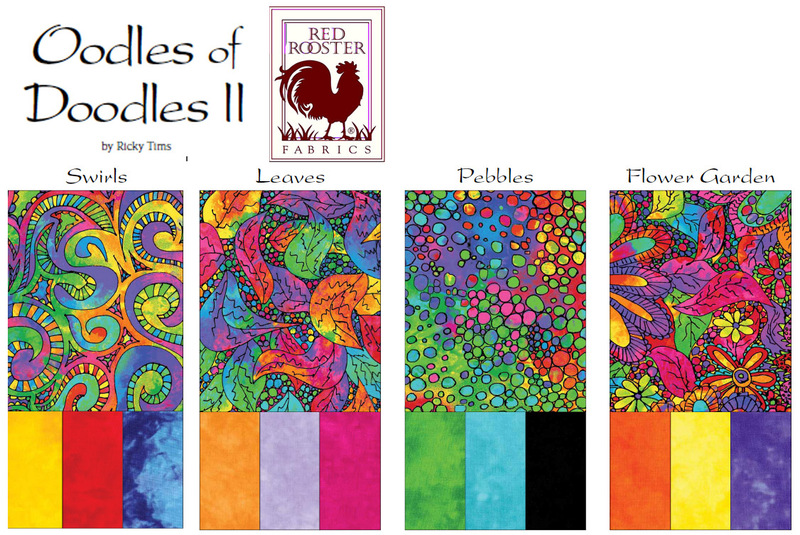 The good news is that instead of these being released in January 2012, they will most likely be ready for shops to see at Fall Market at the end of October and hitting quilt shops by February or March 2012! Whoo-hoo! If you like these crazy fabrics, what would you make? Oh - and don't forget to leave your "whoo-hoo for Monika" in the comments. Ricky, your fabric is beautiful woo hoo to monica and such a lovely Anna. Hope to see it in paducah this april. Woo-hoo for Monica.. And those fabrics are so beautiful.. love your site.. you are so creative.. OMG!!! I really love those fabrics!!! They are beautifully astonishing! Love this new line. I can see in done as a simple pattern of big squares of the print fabrics with small squares of the tone on tones for the setting pieces. Whoo-Hoo Monika!!!!! Congratulations . Great start. Keep it up. Ricky - I love the new fabric line. As with all your fabrics , the inspiration is there.